Hello and welcome to this diet video game review. We shall be reviewing Final Fantasy XV‘s spotlight close, Episode Ardyn. After the other DLC Episodes for Noctis’s three best friends, Ignis, Prompto, and Gladiolus, that filled points where each of them “lost some screentime” in the main game. 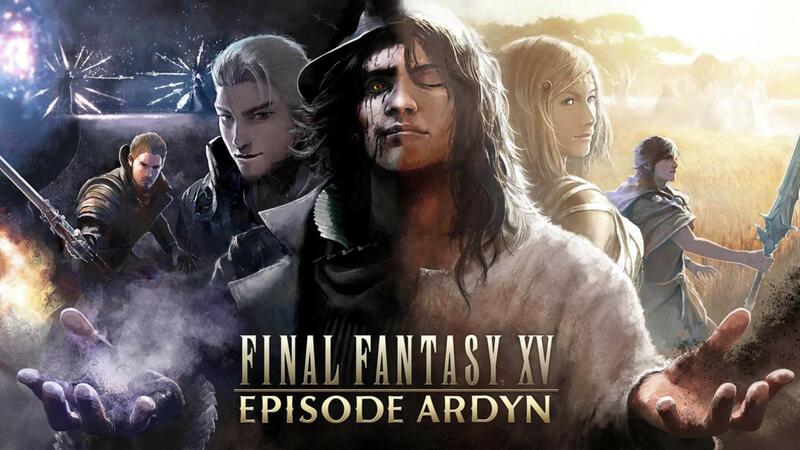 This DLC Episode explains the origins of the game’s core antagonist, Ardyn Izunia aka Ardyn Lucis Caelum, and his fall from grace as the savior of Lucis and loss of the throne as first king. Now, for those of you who have no idea what Final Fantasy XV is or the series in general, here’s a quick sum up of the main game. Final Fantasy XV is about Prince Noctis Lucis Caelum and his journey to be wed that goes oh so terribly wrong. His home is destroyed and his father, the king, is killed while he is away. He journeys with his three friends (the chocobros), Ignis, Prompto, and Gladiolus, who are with him till the very end. But hey! Guess what? Noctis was literally born and destined to die in order to save his people, which he does. There is also additional content to go with the game like the anime Final Fantasy XV: Brotherhood, which explains Noctis’s relationship with each of his friends and also gives light on his own past and specifically on a life changing incident when he was a child, and Kingsglaive: Final Fantasy XV, a full-length CGI motion picture that shows the events of the fall of Insomnia aka the crown city while also explaining the events that led to the fall. Don’t worry though, you don’t have to watch these in order to understand the game but watching them gives you a greater understanding of the Final Fantasy XV universe established by Square Enix. Channel the powers of darkness in exhilarating, action-packed battles. Engulf your enemies in a wicked vortex and send them flying, or draw them over to the dark side by turning them into demons. String together huge combos to demonify your foes with a single blow. Utilize your entire arsenal to dominate the field of battle. So, the main plot of this DLC is that back in the old days where the kingdom of Lucis was only being born, two brothers were meant to rule, Somnus Lucis Caelum and Ardyn Lucis Caelum.